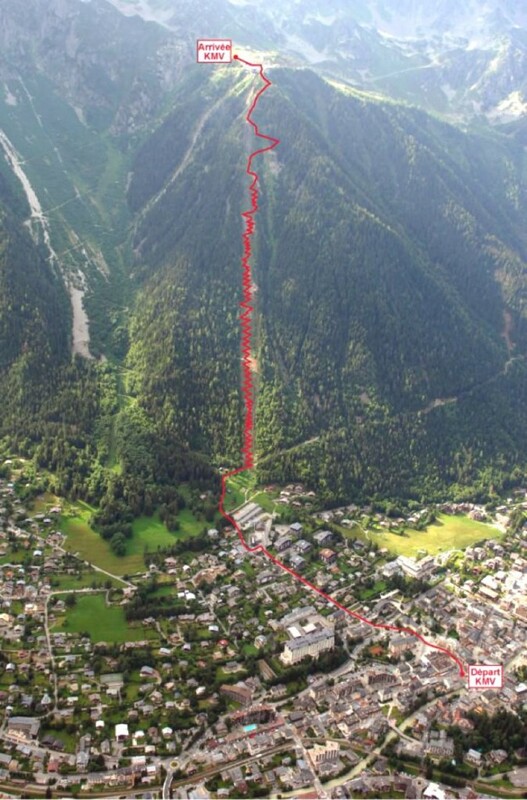 Last night I was having dinner with my friend Andy and we started talking about how the vertical kilometre trail is really bare due to the early onset of spring in Chamonix. I looked at him and said "Do you wannna do it tomorrow morning? Before work?" It didn't take him long before replying "I'm in! What do I need? What time shall I pick you up?" 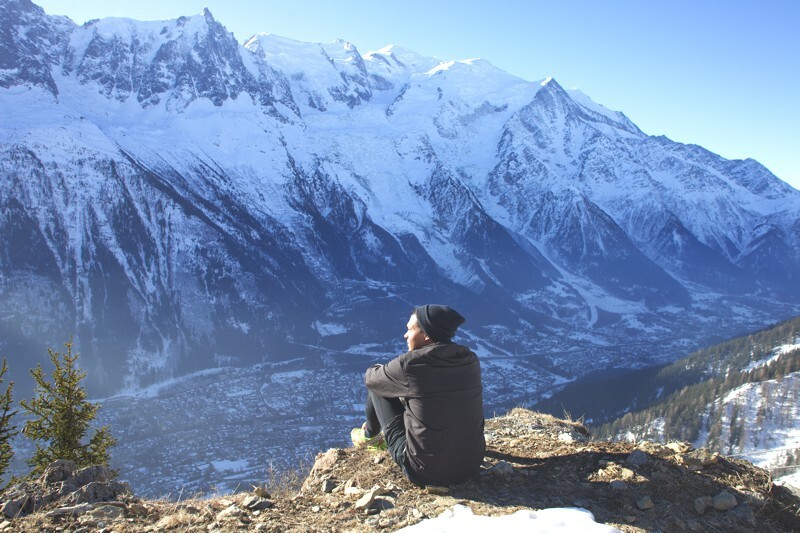 We Googled the current sunrise time in Chamonix and made a plan to meet at 6am. We paid the bill and headed home. This morning when my alarm went off at 5:30am, there was a part of me that didn't want to get up. You know that feeling right? The doubts that kick in before you are really awake. Once my brain registered what I was getting up for I felt excited and got dressed in the clothes I'd laid out the night before. If I don't have my bag packed and kit laid out the night before a morning training session I'm far less likely to get up and do it. At 6:10am Andy picked me up, we drove to Brevent lift station and the bottom of Chamonix's infamous vertical kilometre. As we started up the trail, it was straight into heavy breathing as there is no warm up. The incline is steep straight from the word go, giving your body and mind no time to settle in. The legs are screaming, heart beating and lungs pumping. We were pretty quiet for the first third of the trail, both of us in our own world's, taking in our surroundings and pushing ourselves to get the most from our workout. Getting a sweat on! After 30 minutes we stopped to catch our breath and turned around to admire the view. The first rays of light were hitting the top of Mont Blanc, a tiny dabble of pink light on the white mountains. The moon was still bright and high in the early morning sky. After another 30 minutes of climbing we hit the snow. "It didn't look this snowy from the valley" I said to Andy. This would be a reccurring thought for the rest of the climb. Let's call it snow scrambling! Once over half way the trail becomes steeper and we lost it for sections under the snow. We had to improvise. We crawled up the snow slopes on our hands and feet. Finally we reached the last crest with some pretty epic snow scrambling. The sun had risen and was peeking over the Mont Blanc Massif, it was just stunning. Two hours after setting off from the car we reached the summit and took a few minutes to sit and enjoy it. Crazy to sit 1000 metres above where you left off and be able to see all the cars moving around in the Chamonix valley below. I don't know when it became a normal thing for me to do; wake up before dawn and walk up 1000 metres of ascent before breakfast. Feels like it just happened. Either way, I love it. I love the training, sense of achievement, incredible views and sharing it with people who want to join in. When I arrived at the top I had a BIG surprise waiting for me. 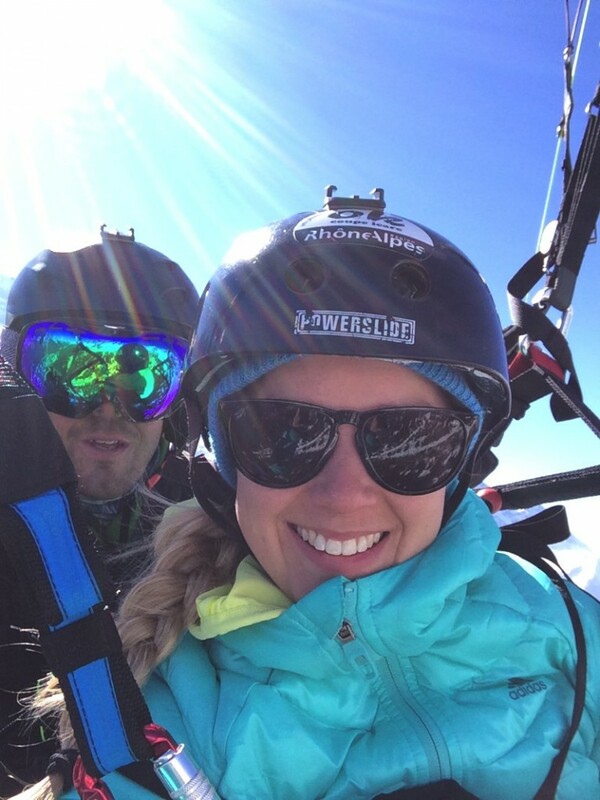 My friend Alex Ledger, was coming up with his tandem paraglider and offered me a lift down. A lift in style! It's my absolute dream to learn to paraglide so I can climb mountains and fly from the summit. Alex is an amazing pilot and runs Sky School to teach people to fly. The part of the flight that feels a bit scary is the take off. Running off the top of a mountain into thin air... yep. Once in the air it is the most peaceful, beautiful and amazing experience. I made a 40 second video to give you a feel for what it was like to be in the air. We played around in the thermals and admired more of the views! Ha, I really can't get enough of it. This time feeling almost level with Mont Blanc even though I knew we were still thousands of metres below the summit. We spun around gaining height and Alex talked me through what he was doing and what we were looking out for. 20 minutes later we landed and packed up the wing. Breakfast time! What a morning! I think it's important to be open to new experiences as we never know what they can bring us or where they can lead us. Often I have doubts or think something sounds a bit scary, but when I go for it, I rarely regret it. 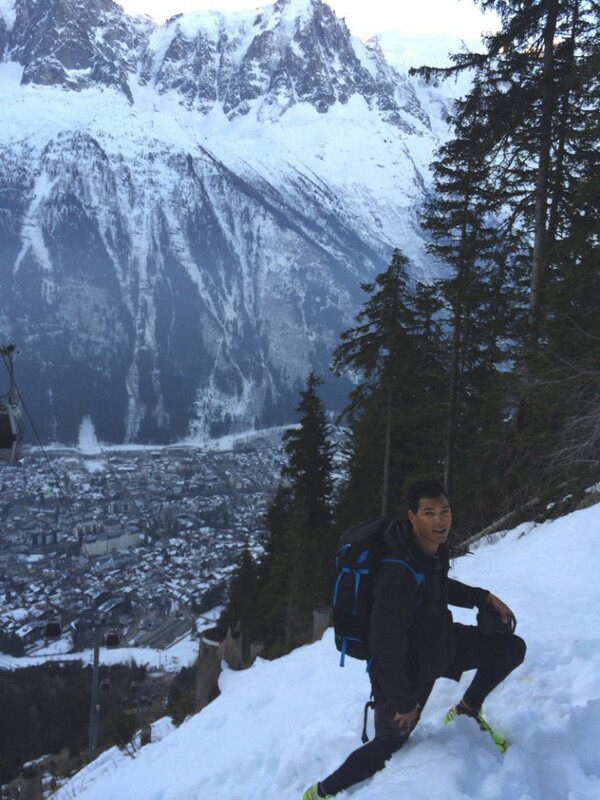 If you want to run the vertical kilometre join myself and Charley in the race in June or come run it any day for free during the summer in Chamonix.